Affron Oil planted roots in the Newburgh Community in 1948. 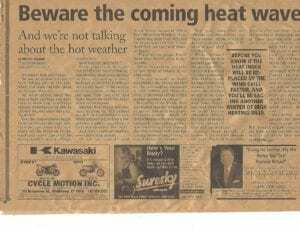 It was owned and operated by Jerry Affron. Jerry was a pillar in the community and was cherished by many. He cared for the local community in which he both lived and retained a successful business. 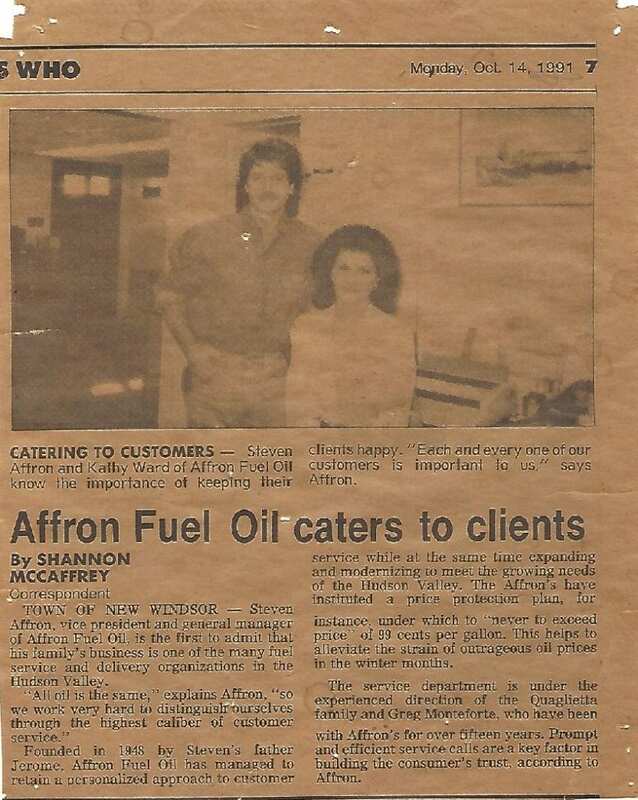 Until this very day, Affron Fuel Oil still services accounts that began utilizing our services 40 + years ago. 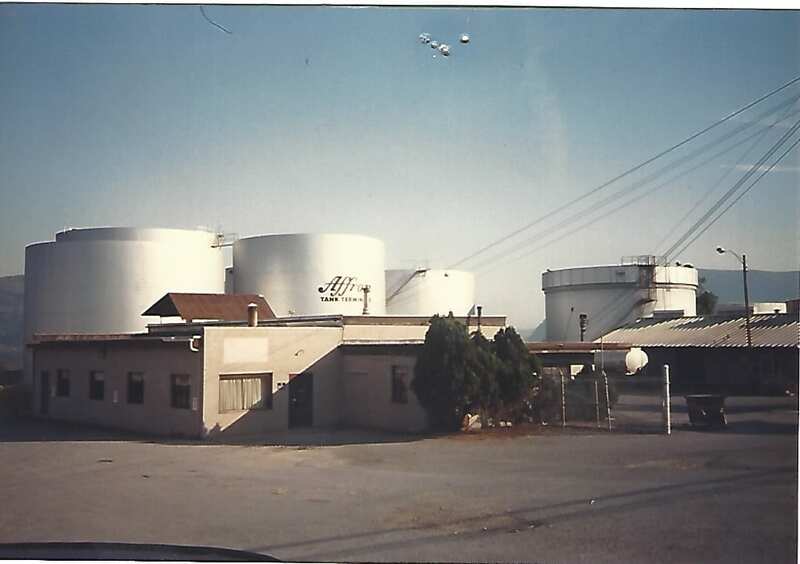 Jerry Affron owned the largest terminal in Newburgh (Currently known as Global) and held a million gallons of storage, also storing oil for other local oil companies. He had expansive knowledge of the industry and passed that to his son, Stephen Affron who is currently the President of Affron Oil. 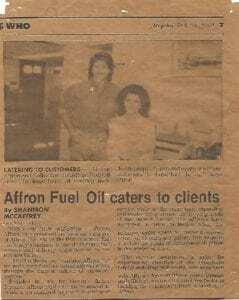 Although the company has downsized, it has remained a family owned business for 70 years. 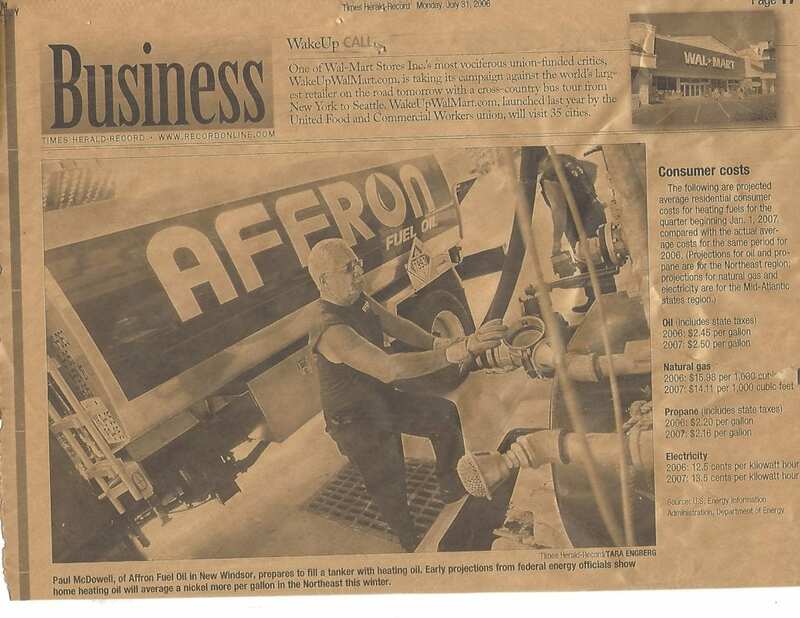 Affron Fuel Oil also operates Jocosa Inc., our waste oil terminal built by Stephen Affron in 2006. We are proud to be in business, celebrating 70 years. We appreciate our customers and strive to provide un-surpassed customer service experience. We have proven to provide reliable, knowledgeable and efficient service to all of our customers. 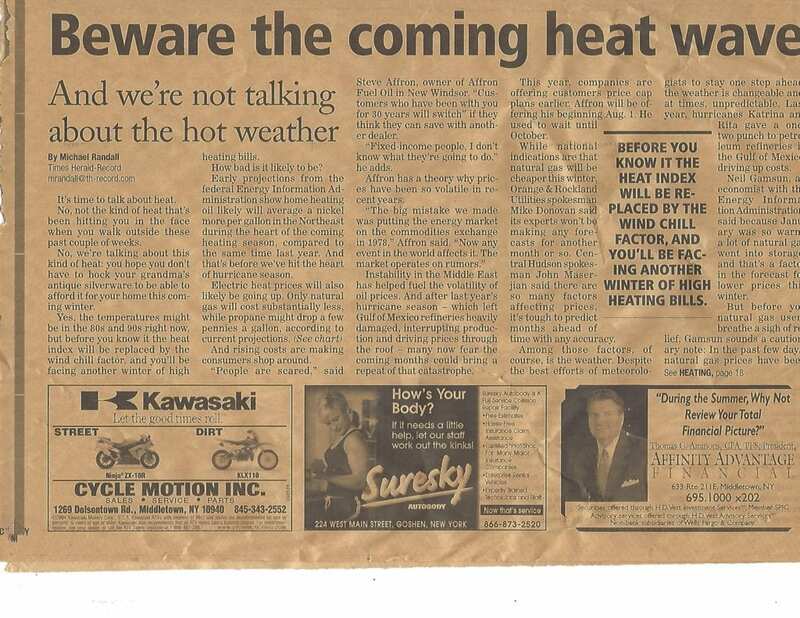 Call today and take advantage of “Worry Free Warmth” this winter season.